Coe-Brown offers a variety of opportunities for students to study and participate in fine arts, including visual, musical and theatrical arts. Fine Arts courses at Coe-Brown Northwood Academy are intended to increase students’ awareness and appreciation of the visual and performing arts. These life long skills in creative problem solving and critical thinking extend beyond the classroom throughout a student’s lifetime. Students are exposed to a full range of ideas, skills and artistic means to challenge them intellectually and creatively. The courses listed below add greatly to the total education experience of students’ as they become inspired and contributing and members of society. Fine Arts courses at Coe-Brown Northwood Academy are intended to increase students’ awareness and appreciation of the visual and performing arts. These life long skills in creative problem solving and critical thinking extend beyond the classroom throughout a student’s lifetime. Students are exposed to a full range of ideas, skills and artistic means to challenge them intellectually and creatively. Research has shown that those students who study the fine arts increase their standardize test scores. The courses listed below add greatly to the total education experience of students’ as they become inspired and contributing and members of society. COURSE DESCRIPTION: This course investigates various ways of linking ideas, language and theory to art while exploring the art elements and principles. Students are introduced to rendering techniques for drawing and painting, basic two and three-dimensional design, and color theory. Emphasis will be on the relationship of these art elements to the artist and their environment and the students’ creative expression. Students will explore a more complete understanding of aesthetics, art criticism, and art history while emphasizing studio production. Students who successfully complete Basic Art I by meeting all minimum competencies while maintaining a GPA of 85 or higher will permit them the opportunity to continue with other courses within the art curriculum (Limit 12 students per class). character will serve the writer, as well as the director, since the analysis process is similar for each discipline. interest, culminating projects at the end of each unit of study and a final project. COURSE DESCRIPTION: This course is the continuation of Introduction to Photography. The main goal will be to give students an understanding of the various professional and fine art aspects of the photographic medium. Students will apply techniques acquired in the introductory course to a variety of photographic applications. Editorial, architectural, documentary and commercial photography is discussed. Assignments are geared towards the exploration of each area with an emphasis on understanding the relationships among exposure, film development, digital applications for the photographer, and the finished print. The course is devoted to extending the student’s awareness and understanding of photographic image making and covers the extension of photographic principles into the digital realm. Archival processing for presentation is stressed. A portion of the class will be devoted to commercial applications, including digital imaging and the working relationship between photographer and art director/designer. A nominal lab fee is assessed to cover the cost of film etc. Access to a manual 35 mm SLR camera encouraged. Students will continue to develop electronic imaging skills through the use of computer graphics technology. The successful completion of Introduction to Photography (CP) (85 or higher GPA) and credit earned is required. Limit 10 students per class. COURSE DESCRIPTION: This course is designed for students interested in expanding their drawing & painting skills. A variety of drawing and painting media will be utilized. Students will gain an increased awareness of their perceptual and problem solving skills. The student will be introduced to many techniques to allow them the opportunity to create and develop their own artistic style. Students will also develop analytical and interpretive solutions to their own drawings and paintings. Conceptual themes will be given and students will employ critical thinking skills. Students will develop observational abilities and utilize digital and computer technology to assist in developing their drawing and/or painting skills. Students will participate to statewide competitions and exhibitions while beginning to developing an art portfolio (Limit 14 students). to continue with more advanced studio courses. COURSE DESCRIPTION: This course will investigate and integrate the study of various visual, verbal, and performing arts. Exploring the humanities will assist you in developing your abilities to observe, listen and read closely and to analyze, connect and question. As a result you will learn to navigate your world and come to a better understanding of your place in it. A survey of major works in art, literature, philosophy and the ideas, which motivate them, will be the focus. In-depth discussions will be an integral part of the course. Students will explore paintings, sculptures, music, poetry and theater as well as, film to develop a firm foundation in appreciation of the arts. Emphasis will be on the historical and social context of ideas and the development of personal values and criteria for personal judgments. Students are taught critical thinking skills to assist in revealing the ever-changing human attitudes toward people and artists through their conceptions of themselves, their social surroundings, and their place in the universe. Text used is The Art of Being Human: The Humanities as a Technique for Living. Class space is limited to 12 students. COURSE DESCRIPTION: This honors level full year course is intended for students who wish to pursue serious study in the visual arts. The College Board’s AP in Studio Art Program drives this rigorous course. The Advanced Placement (AP) program is based on the belief that college-level material can be taught successfully to secondary school students. The recent audit by the College Board attests to the consistency the program aspires to. It is strictly designed for the student who is seriously dedicated and who will invest the time and effort needed to complete a strong portfolio. Students must be accepted into the AP Studio Art Program through the following criteria: previous artwork, course work, dedication, and completed summer curriculum (if applicable). Once accepted, students will meet with the instructor and set up their independent plan of study or master plan. The student proposes, organizes and completes independently designed projects according to individual interest but must choose one of the following three AP portfolio options: The Drawing Portfolio, The Two-Dimensional Design Portfolio and The Three-Dimensional Design Portfolio. 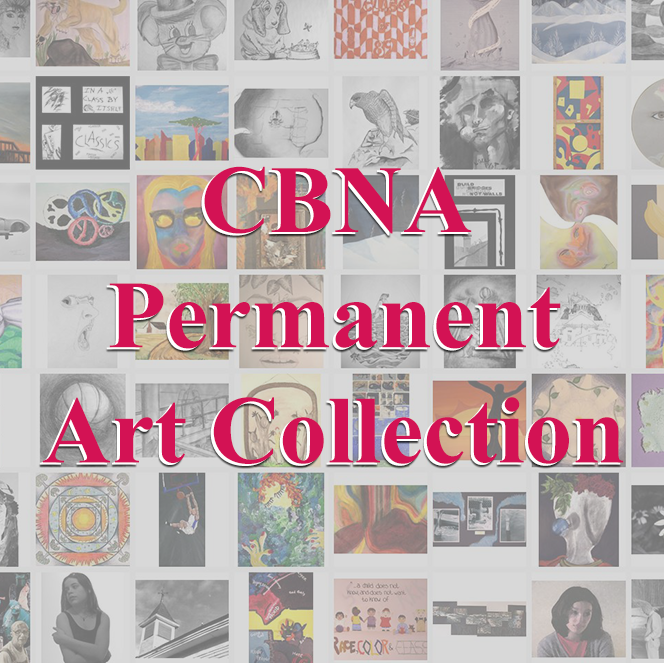 Each portfolio includes three sections: Section I Quality, (Artworks that excel in concept, composition and execution) Section II Concentration (A series of works organized around a compelling visual concept chosen by the student) and Section III Breadth. (These works demonstrate broad experience and accomplishment and may include variety of style, media, subject, and cultural influences etc.) Themes may relate and require research that involves the students in successfully mastering creative problem solving skills. Over the course of the year, a strong, highly polished, competitive, quality portfolio is compiled. When completing this portfolio the student’s goals should be to receive the highest score of a “5”, which in most cases will ensure them college credit. At the end of the second semester a portfolio/exam (along with fee) is submitted to the College Board for evaluation and consideration of college credit and/or Advanced Placement. This course can be molded to fit any student’s schedule, but it is strictly for motivated art students! Several hours outside the class-time is expected. COURSE DESCRIPTION: This honors level repeatable semester course is designed for the student whose specific objectives are not met in the AP Studio Art Program and who wish to pursue serious study in the visual arts. Students will meet with the instructor and set up an independent plan of study. The student proposes, organizes and completes independently designed projects according to individual interest. Periodically, the instructor will lead the class on specific assignments. Themes may relate and require research activity that involves the students in successfully mastering creative problem solving skills. Students should begin to focus their concentration in one or two media. Over the course of the semester a strong, highly polished, competitive, quality portfolio and/or project is compiled. This portfolio can then be used in the admissions procedure for most art schools or University art departments. This course can be molded to fit most student’s schedule, but it is strictly for the motivated art student! This course will meet simultaneously with the AP in Studio Art Program. Several hours outside the class time is expected. COURSE DESCRIPTION: Open to all students who have passed the beginning level of proficiency for their instrument. The course will be performance oriented with an emphasis on teamwork and cooperative learning. Students will have the opportunity to perform a variety of musical styles and in a number of different configurations. Band members will have the chance to audition and participate in District, State and New England Music Festivals. May be retaken for credit with permission. All students are expected to schedule a private or group lesson with the Director either during common study hall time or after school. Lesson times will vary according to semester and individual schedules. A minimum of 1 ½ hours of practice per week outside of class is expected. Attendance at all group rehearsals and performances is mandatory. An unexcused absence will deduct 10 points from your grade. COURSE DESCRIPTION: Open to all students with an interest in singing. Experience is helpful, but not required. The course will be performance oriented and will explore a variety of musical styles from different time periods and cultures. In addition, skills in sight singing, ear training, and musical notation will be developed and/or improved. Students will have the opportunity to perform as soloists and in small ensembles, and to audition for participation in District, State and New England Music Festivals. Chorus may be retaken for credit with permission. Students may schedule a private or group lesson with the Director either during common study hall time or before or after school. Lesson times will vary according to semester and individual schedules. A minimum of 1 ½ hours of practice per week outside of class is expected. Attendance at all group rehearsals and performances is mandatory. COURSE DESCRIPTION: Piano I is open to all students who wish to learn how to play a keyboard instrument. Previous musical experience is helpful but not required. Instruction will be offered from beginning to intermediate levels with an emphasis on performance and basic music theory. Students will need access to a keyboard to do their out of class practicing. Students are required to have a metronome. must have permission of the Dean. COURSE DESCRIPTION: In this CP course, students are led beyond their playing knowledge, and have the opportunity to explore the why and how of music through improved understanding and musicianship. The class is taught seminar style with the free exchange of ideas highly encouraged. The course objectives include the following: 1) Students will improve their understanding of music notation and to develop a clear manner of writing music down on staff paper; 2) They will learn to recognize intervals through ear training exercises and the use of sight signing techniques (singing participation is required): 3) Students will become familiar with scale construction (major and minor) and the circle of 5ths; 4) They will understand the role of the conductor, and how to direct an ensemble from the podium; and 5) Students will be exposed to traditional harmony, chords, voice leading, and inversions that will assist the students in composing their own music. COURSE DESCRIPTION: This general level course introduces students to the process of creating a visual art product utilizing wood as a medium. The focus is to encourage self-expression and experimentation utilizing the elements of art and the principles of design. The course will include the history of woodcraft/woodworking; the study of styles (form vs. function); knowledge of the woodworking process; and class projects. A lab fee is charged. Designed by the National Art Education Association for high school students in grades 10, 11 and 12, for the purpose of inspiring and recognizing those students who have shown an outstanding ability in art. The NAHS strives to aid its members in working toward the attainment of their highest potential in art areas, and to bring art education to the attention of the school and community. The student’s art instructor nominates candidates and the student will follow up with an application and a portfolio review. Criteria for membership emphasize outstanding artistic scholarship and service to the school and community through the development of artistic endeavors together with a strong moral character. Students who have completed one year of secondary art instruction are eligible for selection and shall have maintained a minimum art scholarship of a “B” grade or higher. The CBNA Pep Band provides musical support to our basketball program. Rehearsals begin in the fall and students who sign-up need to make a commitment for the entire season. Typically this involves games during the February vacation. The Pep Band will perform at home games of both the men and women’s’ basketball teams and selected tournament games. Band students are highly encouraged to participate as it gives the Band program great exposure and offers students the opportunity to perform popular music in a casual setting. This elite group is chosen at the beginning of the school year through an audition process. Membership in the CBNA Chorus is a prerequisite. The number of people chosen will range from 12 to 20 depending on what is needed to achieve balance. The Select Chorus rehearses every Tuesday, with alternating times of 2:40 to 3:15 and 6:30 to 8:30 PM and attendance is expected. A wide range of musical styles is explored from Renaissance to Contemporary. Performance dates include the two major concerts and singing the National Anthem at Basketball games as well as other special events that developing during the school year.